Kumbalangi Nights is a Malayalam movie releasing on 7 Feb, 2019. 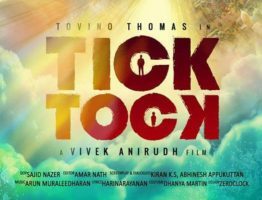 The movie is directed by Madhu C. Narayanan and featured Shane Nigam, Soubin Shahir, Fahadh Faasil and Sreenath Bhasi as lead characters. Other popular actor who was roped in for Kumbalangi Nights is RJ Ramesh Thilak. The First Look Poster Of ‘Kuttimama’!!! Mammootty’s ‘Unda’ First Look Poster Is Out.